This has been a tremendous year for me. This project has reset the equilibrium of my life, and I am amazed and grateful. A thank-you is very much in order. I don’t often address you, reader, but here I am now, to extend my enormous gratitude. Thank you for being here; without you my work would have a very different meaning. When I started this project in January, I had trouble settling into my voice. I thought that because Bookside Table was a blog I had to use cute, conversational conventions. You can see it in my first post for the project, on Roland Barthes’ Roland Barthes. You can see it in my original about page, where I recklessly absolved myself of the responsibility of criticism, telling you that “I’m not a reviewer: I’m a reader. I’m in this purely for love.” I think I’ve been a mostly phenomenological reader, looking to the book itself and evaluating my experience of the thing. Only rarely have I tried to ‘situate a work,’ and for the most part I haven’t explicitly said ‘I like this’ or ‘I don’t like this.’ But you can tell, probably, which were the ones I loved best. My year in reading post, over at The Millions, makes clear the two books that ‘lit me up.’ The ones I was compelled to read twice. But, to be fair, I also went back to sections or stories from The Odious Child, Before You Suffocate Your Own Fool Self, The Mezzanine, and Ghosts. I’ve also opened The Obituary at random to revel in its enlightened weirdness, to feel my eyes trying to stitch together the violent, beautiful fragments. 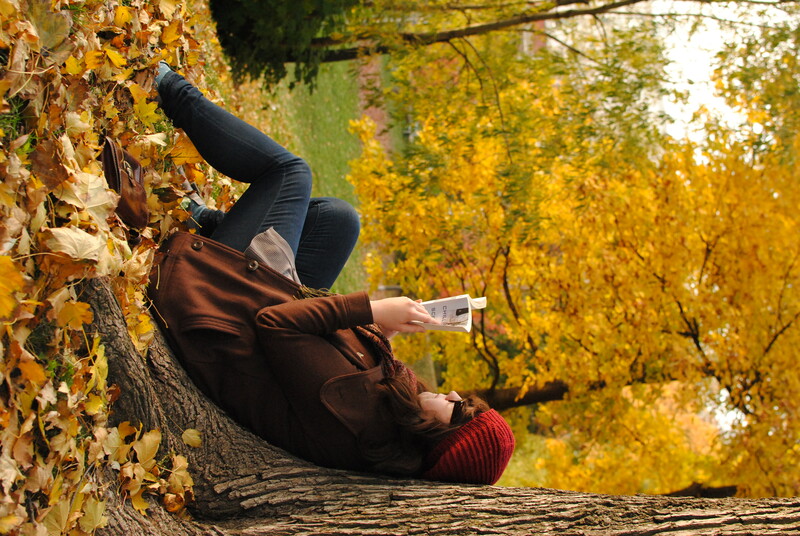 Re-reading is one of my greatest pleasures, so it shouldn’t surprise anyone that I dip back in now and then. There is no great intimacy built without familiarity, even if strange limerance is its own reward. I will tell you that sometimes this little hobby was troublesome, and there were a few rough patches. After I finished Nightwood I didn’t much feel like reading another book, more fiction. I wanted to let it simmer for a long time. It was a feeling like the strange sickness I had in 2009, after finishing Infinite Jest for the first time, when I couldn’t force myself to read fiction for a full ten months afterwards. Nightwood was like that, I felt ruined on books because here was something so dark and perfect in it’s power, so claustrophobic and complex that I needed to breath on it. I felt such a sense of readerly justice being miscarried that I couldn’t stew on it, that I had to keep going. I sat on it for a week, and read the next book, Memories of my Melancholy Whores in a single sitting on the Sunday afternoon before the post went up. I wrote about it immediately after I put it down. I figured it would be okay, because it’s ‘minor’ Marquez, and now the post on it makes me cringe. I was so ungenerous and clumsy. But the project contains itself, so it stays where it is. While regret is too strong a word, at times I wish I had been a little less gentle, just a little harder on some of these books. I really wish I’d told you that only 65% of The Fortress of Solitude was worth much more than the paper it was printed on. I liked it a lot, that 65%, and it more than justifies the miss steps Lethem made there. Sometimes I think I was a little bit cowardly, a little too unsure. But I hope I never let you down. 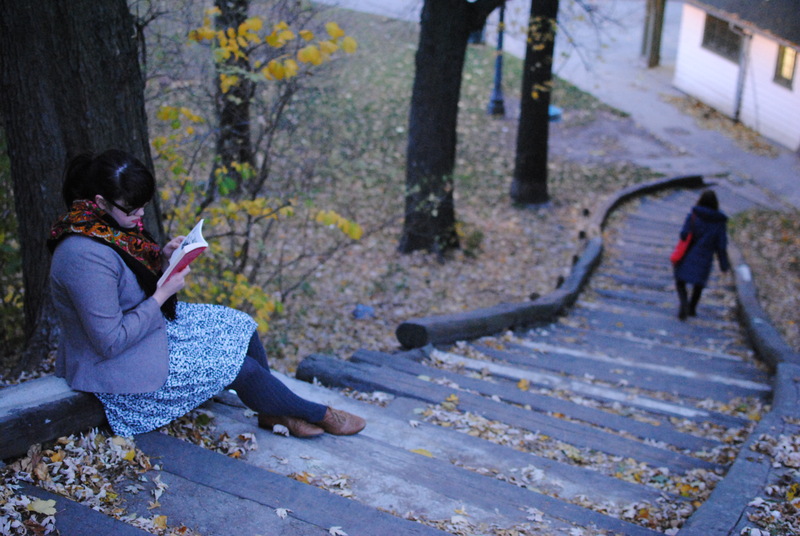 I think that the major responsibility of a book reviewer, of any cultural critic, is to inspire hunger in other people. To stir up the public appetite for better and more nourishing things. I think I was afraid that I wouldn’t be able to do this, so I hedged my bets and tried to shirk that responsibility. Thankfully, I couldn’t always escape that harness. Some of the feedback I’ve received through out the year, from reader (and occasionally author) emails, new and not so new friends, and on twitter has been from people kind enough to encourage me to keep going, to tell me that my little corner of the internet makes them hungry for more and better books. I couldn’t be more grateful for this kind of connection. Reading these books has made me a little better than I am, but telling you about them has changed my whole life. A Moment in the Sun is big in size and generous in story. Just like in his movies, John Sayles is a story weaving king here, threading an overfull menagerie of characters through an historical bricolage composed from the vastness of America and her foreign exploits between 1897 and 1903. It’s a heavy and learned book, full of finely realized historical detail and an abundance of really big issues; the absurd terror of war, the ongoing trauma of racism, the importance of journalistic ethics, the incongruity of corporeal punishment in a so-called free world, familial responsibility, love… But at 953 pages, Sayles havs definitely given himself room to make something messy and real, as troubled and sprawling as America itself. Parts of his story are decidedly revisionist, like the scene where Mark Twain is tied to a tree with the fictional Lt. Niles Manigault in the Philippines, two Americans strung up to die by dehydration or dismemberment. The famous author’s cameo is another beat on Sayles’s loundly banging anti-Imperialist drum, and a not so subtle reminder that always there is a better way out of history, if we listen carefully and watch closely the minutely forking path. The book, for all of it’s physical, emotional, and historical heft feels a little misweighted to me; there are some story lines I would have liked to see a little more flesh on, particularly the interesting dynamic that develops between the robbed and fallen black woman Jesse and the white Irish maids she is forced into wage earning with towards the end of the novel. In fact, most of my favorite parts of A Moment in the Sun were about the women, who were, for my taste, too frequently left on the story’s back burner. The first half of the book felt ripe and well paced, with personal and political climaxes plotted out in perfect tandem: here an unwanted pregnancy,there a riot, here a hanging and an initiation into a secret society, there a fixed bar fight that has no real winner. It was a perfect mix of yellow journalism, wanton pyschology, and intriguing historical dialects blending pleasurably on the page. The second half lurched forward just a little less gracefully. The pacing felt misaligned, perhaps once half of the characters found themselves in Asia, once the American-Filipino war started really rumbling. I personally have relatively little tolerance for war stories, especially for those set before the advent of television, so it may just be that I am a flawed reader for this work. But nonetheless, I felt a stark shift between the riveting storylines in the first half and the tedium of the threads coming together in the second. A few of the character’s resolutions, especially the one with Jessie, feel a little pat, a little too much like a story in light of all the life that happened over the course of the novel. Despite the lack luster denouement, Sayles leaves the best for last and gives as a parting gift a perfect final chapter, one that may well infect you with the shudder and the shiver of a ghost, haunting and cruelly beautiful even as the heavy book sits once again inert on the shelf. What can I possibly say about Lydia Davis’ The Cows? A while ago my main squeeze treated me to an excellent dinner at a relatively fancy restaurant. The meal was long and luxurious, and we were patiently attended to, and each plate was an exercise in elegant restraint, the food alienated from the edges, a generous helping of white space. My favourite course was the dessert for its familiar and simple flavours: chocolate ganache droplets on a butchers block, with tiny almond butter cake cubes, and concord grapes. That dish, the small serving size, the serious consideration of humble ingredients, and above all the emphasis on deliberate spatial isolation, is a perhaps labourious but still apt metaphor for The Cows. And I loved them both. 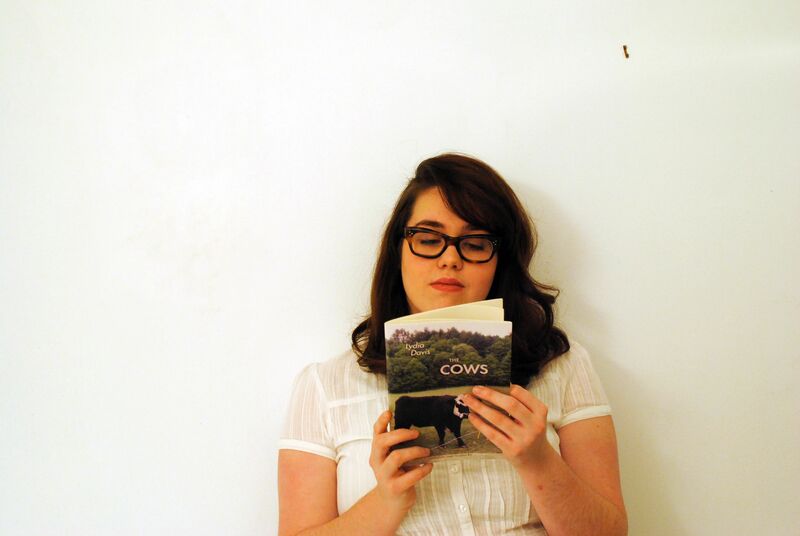 The Cows is a meditation on stillness, perception, and the seasons. Davis writes koan-like sentences about three neighboring cows. Simple and humble, (like grapes, almonds and chocolate) these cows become even more than they are through Davis’ masterful command of her medium. Delightfully, these beasts never cross over into the realm of allegory; Davis refuses to anthropomorphize them. They remain cows, broad and black, gentle and heavy. It seems like the project of exploring the significance of these cows is a way for Davis to demonstrate the arbitrary nature of life, of the years passing. But it’s also a meditation on the quiet and joyous riddle of subjectivity: “After staying with the others in a tight clump for some time, one walks away by herself into the far corner of the field: at this moment, she does seem to have a mind of her own.” The spare beauty of these cows, of my desert, of Davis’ prose, relies on such quiet celebrations of mindfulness, or of subjective presence. The Cows is a pure and simple delight, an open ended riddle on the joy of moving forward by standing still. I’d heard of The Heart is a Lonely Hunter before I picked it up. It’s a classic that appears on a lot of lists, I guess. But I had never once heard anything really meaningful about the book, and every time I ever saw it on a bookshelf or in a store I assumed it was basically the sequel to Harper Lee’s To Kill a Mocking Bird. I think that’s because every edition I’ve ever seen of this book relies on a stunning and romantic photograph of its author, a young woman in workman’s clothes, complete with a wrist watch and an incredibly fatigued expression. 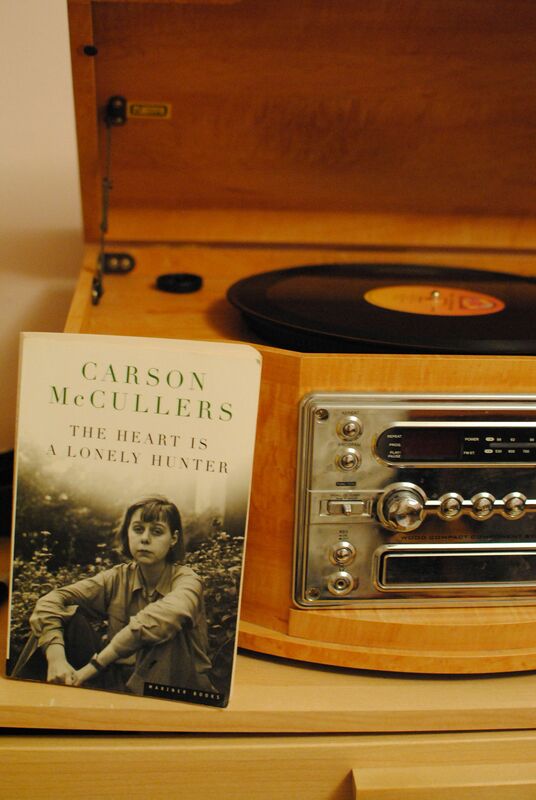 To me, I guess, Carson McCullers looks just like I would imagine Lee’s little girl main character Scout would as a grown woman, who was also McCullers. Basically, becuase I knew it was a first novel, a work of Southern fiction, and every copy I’ve seen has a picture of the authour on the cover,I thought it would be a roman à clef. And I thought it was a romance novel, too, based on the title. But it wasn’t about a young workaday woman, and it’s short on the type of romance I was expecting. It’s mostly about loneliness. There are a handful of main characters, a whackload of secondary ones, and they are all in some sort of orbit around a deaf and mute man named John Singer. And they are all lonely, all of the time, even though they sometimes delude themselves into believing that they are not lonely, that they have found some friend with whom they can commune. Each suffers from a type of loneliness for which there is no cure, political, moral, racial, intellectual… Try as they might to stop the well with music, gin, rage, or even words, loneliness becomes a primary orientation for these characters, and though they drive onward in life in search of communion they eventually slip through and down into the dark. The Tiny Wife is a small but surprisingly sweet urban fairy tale about a metaphysical bank robbery. While the book as an object, with Tim Pervical’s charming ink block illustrations and its twisted hand lettered cover, recalls the Gothic twee sensibility of a Tim Burton or Jhonen Vasquez, Kaufman’s quirky story seems to spring from a deeper well. 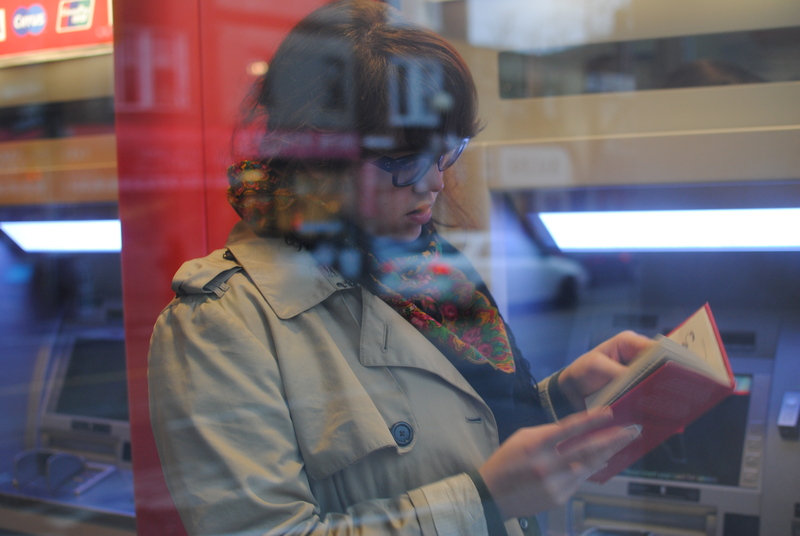 The thief in the opening chapter robs everyone at the bank of the item they consider the most sentimentally valuable. One man hands over his most recent pay stub, the first he’s received since getting an important promotion; a woman gives the thief a crumpled photograph of her children; another man hands over the original key to a house that’s been in his family for generations; one woman, the wife of the book’s subtle narrator, hands over the calculator she has had since high school, which she has used to make some of the most important decisions in her life. Being robbed of these materials will effect these people in strange and unpredictable ways. One woman’s tattoo comes to life, another turns into candy. The man with the key becomes physically overpowered by the family history contained in the walls of his house. Each strange incident is described through the rhythm of a fable, short sentences and simple ideas that have totally steam rolled you by the time they come to the last line. These pieces are threaded together by the confusion that the narrator and his wife experience about the way that their feelings may have changed since the birth of their son. For the most part, The Tiny Wife feels like a dream, a fiction that seems senseless but meaningful, the kind where you wake up feeling like things have worked themselves out and you can keep moving forward in a world made a little clearer. 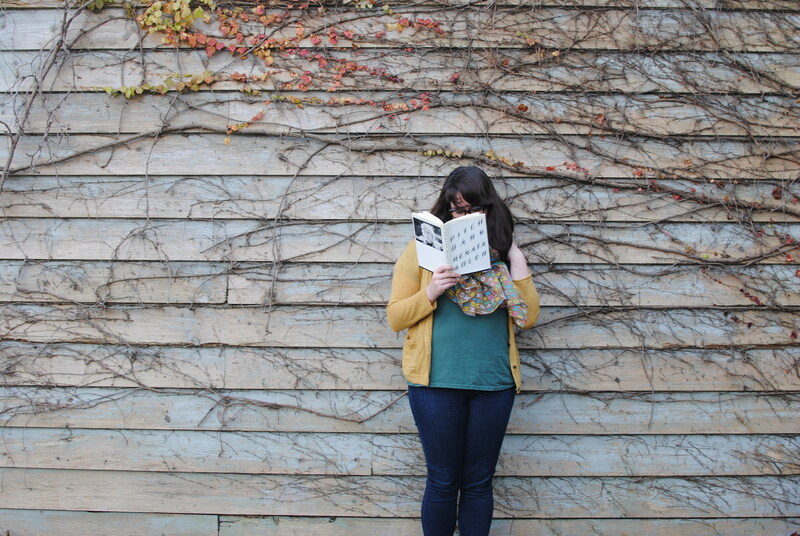 For the most part, I purchased all the books I read this year. A few were from the library, and a couple were gifts. The rest I bought. When it comes to books, I find that I frequently buy more than I need, or put comfortably as a cliche: I quite often get more than I bargained for. Here are some notes on a few of the books I have purchased, but remain unread. I first read this “novel without a hero” as an early adolescent. I didn’t really get that you weren’t supposed to like Becky. I was super impressed by her ability to assess any situation, and I liked her immediately because she’s just so damn smart. To be honest, I think part of what I liked about her was that she had a sort of power over men. This appealed to me, as an awkward adolescent. Also, I am a product of perpetual financial precarity, and I empathized with her money hunger, having felt those pangs myself. It’s been a little more than a decade since I read Vanity Fair, and I don’t remember any details of the plot, or the ending, though I’m sure it’s ugly. That’s something I learned from re-reading Cakes and Ale, that I tend to remember beginnings more strongly, especially when it comes to books I read at the beginning of my rewarding reading career. This is probably especially true when the first two thirds feature the characters in their youth. Basically, I want to figure out whatever became of my old friend Becky. Around this time last year I took out James Wood’s How Fiction Works from the library. I read it in one sitting, and then a lot of different parts of it again, out loud to my partner. I was inspired to read more, and I really think that I wouldn’t have started this project if I hadn’t happened upon that book. I felt a renewed interest in both stories and language, and I knew that I could be a better reader, both in terms of quality and quantity. Wood had given me some tools, and lit a little fire. Not because I love the same books he does, but because I aspire to love the books that I do in the same way. When I saw The Books in My Life at Balfour Books, the first time I went into their new shop in the spring, it felt like fate. Here was an author who know how to love the dirty, the drunk and deranged writing about how he learned to love books! 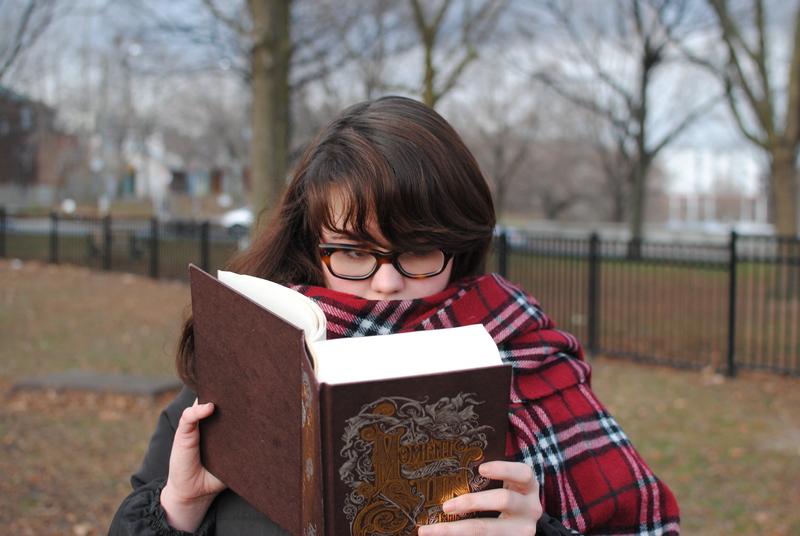 This would be exactly what I would need to guard against the return of that cold sense I’ve had in the past, that reader’s apathy or, worse ennui. I’m still keeping it for when I feel those first few symptoms come on. After I read The Mezzanine, I wanted more Baker. I was gearing up to read this year’s release, House of Holes, but for some reason I never actually felt compelled to plunk down $30 on it. Every time I went to BookCity, since its release, I would run my finger over it’s glossy jacket, and open ‘er up at random and dip in for a bit. But I just never walked it up to the ’till. I did however, ask them to order in U and I. Because for a while I was obsessed with How Should A Person Be?. I still am. But it was unhealthy. I would follow Sheila Heti around the internet, and I would try to go places that would invite scenes and phrases from HSAPB into my head. I took the book to the bar, by myself, practically on dates. We would sit together, me and this book, and I would swim around and pull up sentence after sentence for my note book and try to make a new world out the one Heti made. I would get angry when I read less than glowing reviews, even when they were sound and pointed out what I considered forgivable flaws in an otherwise perfect work. 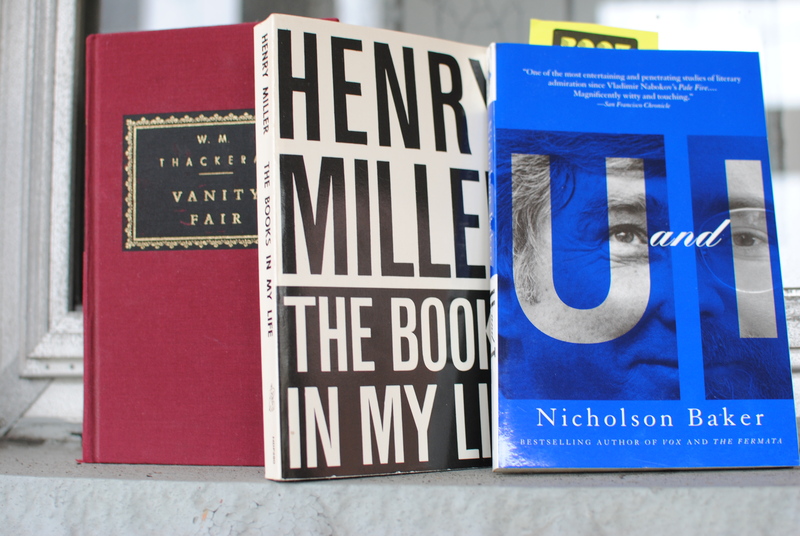 I was a mess, and I thought that Nicholson Baker would be able to help, because he seems to have gone through a similarly traumatic (and equally one sided) relationship with Updike. But then I read a few more books and the suffocating feeling passed. And then I went to the book launch for The Chairs are Where the People Go and saw Heti in person, and felt ashamed of the squalid (but let me reiterate: one sided) intimacy I forced upon her. And then I heard her on the radio, talking about how her friends and her all agreed that the book is smarter than she is, because she spent five years working on making it the best it could be, and she would never spend five years on just walking around, talking to people, like a normal person, and I felt a little better about the whole thing. I’m still looking forward to reading U and I, especially because now I can probably actually read it instead of mining it for solutions to my problem. Pitch Dark is elegant and subtle. Renata Adler takes on love, travel, journalism, terrorism, the Holocaust, and other strange realities of the now and turns them over gently, again and again, until they are polished and compact, small hard scenes rendered as beautiful little prose poems. The novel feels like a collage, pieces of narrative and history glued down in overlapping layers. There are allusions to classic literature and historical events, bracketing observations on the nature of love or of success. Pitch Dark also functions as a work of demonstrative criticism, insisting on the importance of stories and on our ability to create new forms to contain the repetitive content of human life. The plot, to the extent that one exists, follows Kate, a newspaper journalist, as she deals with the fall out from the dissolution of a long term affair with a married man. She tries to compose herself by visiting Ireland, but her emotional fragility is made worse by feelings of paranoia about terrorism, and the IRA. Unable to gracefully extract herself from accommodations provided by a collegial acquaintance, she falls into an absurd pattern of behavior that escalates almost comically, and culminates in a crime committed without intent. One thing about reading this now, in 2011, is how distant my reading is from the alleged source material. When Pitch Dark was published, in 1983, Adler was a huge figure in the New York literary world. The novel, not unlike Cakes and Ale, was supposedly shocking in the way it presented a fiction molded from a publicly known set of facts, based on real characters. Adler was so well known at the time, that my first edition copy doesn’t even include a biographical note, just a large photo of her face, bathed in sunlight. And just like Cakes and Ale, I was happy to be afforded the space to read this novel without being forced by the zeitgeist to read into it. Van Gogh’s Bad Cafe is an unusually beautiful novel, built on the fault lines between worship and addiction, artist and muse. Yet despite the immediate intrigue associated with these themes, Frederic Tuten has taken time itself as his primary obsession in this work. And why wouldn’t he? The narrative form of the novel is the perfect tool for experimenting with time; events described therein are pulled along by the knotted rope of plot, and the reader can momentarily occupy a noumenal rather than physical time, collapsing space and time into a single and dynamic entity. Tuten skillfully engages this possibility, and gently, brilliantly, manages to separate time from history. Van Gogh’s Bad Cafe tells the story of a woman caught between two lovers, who are themselves a century apart. Ursula is a photographer with a morphine addiction, trying desperately to capture the fleeting formal beauty of light bursting through space. She has her first lover, Vincent Van Gogh, haul her heavy plate camera into the fields where she hopes to trap the miracle on paper, catch it like a child would a lightning bug. Her second lover, an artist in 1990’s New York named Louis, equips her with a Diana and a Leica, and she breaks out on her own to try to intercept the east river’s rally with the fading day light. In addition to her ability to travel forward a hundred years, or perhaps because of it, Ursula is also fascinated with plugging up time, she has the addict’s peculiar ability to speed up time by slowing herself down, to literally kill time by entering a magic stupor, the warm blooded sleep of opiates slowing her blood and eating through the hours. Ursula covers her ultra feminine body in the 1880’s by occasionally dressing in menswear, and carrying a revolver around to shut up guff givers as she runs into them. In the 1990’s, she transgresses gendered boundaries by shaving her hair, donning docs, getting pierced and reading Sylvia Plath. She eventually turns away from photography in order to make her body her primary mode of expression, and rather than escaping the women’s ghetto of the muse she becomes imprisoned by temporality. Her flesh will rot, her ideas shouted however loud will go unrecorded, and though she traveled through a century in her body she can never undo time, she can never reach forward with the miracle of light caught on paper. Tuten’s prose is sensuous and lyrical, and this love story between art and time is charged with eros as it moves through the ages. Eric Fischl’s visual contribution of several eerie and diluted sketches offer so many small islands in the sea of yearning that makes up Van Gogh’s Bad Cafe. Should you be lucky enough to find yourself in NYC on December 4th, you might enjoy a marathon reading of Frederic Tuten’s astounding first novel, The Adventures of Mao on the Long March, hosted by The New Inquiry and BOMB Magazine in celebration of New Directions Publishing’s 75th anniversary. Click here to RSVP. Chilly Scenes of Winter was not exactly funny. In fact, it was one of the rare books that made me think to myself, gee, what would happen if I read something that wasn’t totally depressing, for a change? My mom is constantly complaining that things are too dark here on Bookside Table, and this was the first book that really made me consider her position. Which is not to say that Ann Beattie’s prose is dismal, or that her characters are humorless and unlovable. In fact, just the opposite; Charles and his friend Sam are riddled with the good kinds of flaws. They’re dynamic and Beattie paints their portraits with real verve and no small measure of skill. They are in that strange post college funk, where they’re technically adults but they feel unsure and unhinged in a world where the term no longer has a clear meaning. So much of Chilly Scenes is about the accumulation of the micro disappointments and disillusionment that come with growing up. Charles’ mother is mentally unstable, his stepfather is over-invested in a fantasy life, the older man that Charles and Sam meet at the local watering hole is an alcoholic well past the point of functioning, and love consistently proves easier in theory than in practice as these young men try to move forward without ever catching their bearings. The book is set in the mid 1970s, and the characters are almost all at a loss for how they can ever truly grow up, how they could possibly move on from the mayday of the ’60s. Througout Chilly Scenes of Winter there is an incredible tension between the roles of fantasy and intimacy in relationships and in love. Charles pines for his ex, feels alienated from his sister, and relies on his best friend for the quotidian comforts of loving companionship. He imagines his ex in a big kitchen, fixating on A frame housing, imagines a bright but loveless future for his sister, and tends to the intimate work of caring for Sam when he loses his job, his apartment, and his dog. Beattie’s use of language seems calm on the surface but, just like her characters, has a deep and anxious pulse .The dialog still feels fresh, 30 years on, and there is a strange whimsy and exhilaration even in the most desperate scenes. “Charles sat up and sat cross-legged in the back seat, looking out the back window at the highway. He was so tired that he was giddy; he thought about waving to oncoming cars, seeing if they’d mistake him for a kid or think he was retarded and wave back. But he was too tired to play games.” And there it is! The incremental build up of so many small sadnesses, littered throughout this break-out novel, born on the back of repetition and blossoming into pervasive ennui. And let me tell ya, it gets to you alright. And it might not matter. Even when Sam’s one time lover Sheila ends up in psychiatric care, it’s just another borderline meaningless thing. The characters often (and I do this too!) verbalize their feelings, especially if the feelings are positive. They say “I feel good.” Or, “I’m feeling really good right now.” As if the feelings themselves are noteworthy, more so than the circumstances that enable those good feelings. Or maybe it’s in part a reaction to the strange intimacies of text based friendships. Either way, it’s both chilling and strangely vindicating to see this aspect of my life presented [without comment] on the page. 2. But does this strange fealty to life, young and shallow artfucky commodified and digitized life, mean that a book like this is a good one? I haven’t read Lin’s other novel, or his poetry, but I like parts of his older blog Reader of Depressing Books. But I hope that Lin’s other books are nothing like this one, in shape or content. Because I would hate to think that there is more than one of these out there, more than one shallow and repetitive (real!) meaningless story about a person who has awkward and vague romantic or sexual relationships, wandering about in parks and libraries day after endless day, thinking about either being FUBAR or absolutely nothing. 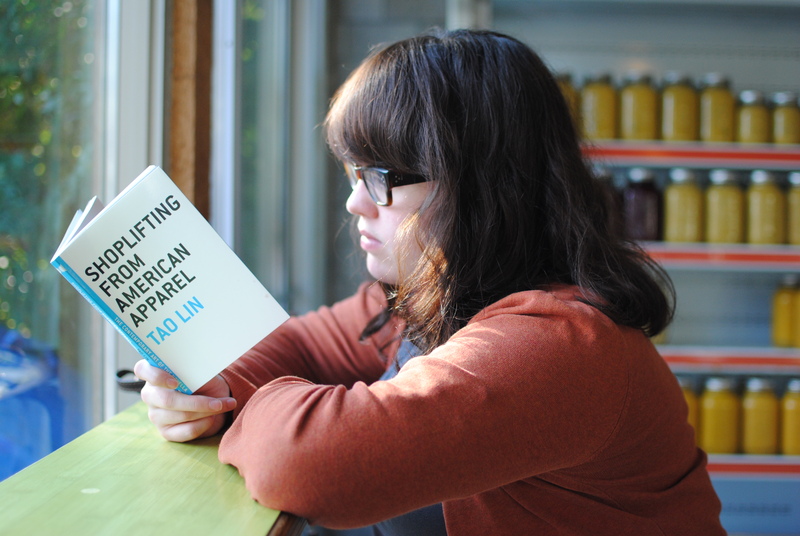 In a weird way, Shoplifting From American Apparel is one of the best books I’ve read this year because it’s making me think really hard about why I don’t like it. I’ve read it twice, trying to figure these things out. I’m resistant to the idea that art should be basically meaningless and unaffecting, even if some parts of life are, or come to be seen that way. I want this book to be the only one like it in the world, in all of history, because by virtue of that watery singularity, I can manipulate my understanding of what Lin is doing here into something that coheres into significance, and then do the same with all of the aimless and subjectless G-chats and park coffees that have made up so much of my life. But that would be a lie on both accounts. Lin is like the antithesis of the big young 1990s writers, the anti Franzen, the anti Wallace; there is no reaching for depth, no human virtue glinting under the sharp light of meaning saturated prose, nothing sacred to worship or terribly trying to overcome. Things are just things, the world of experience is permeated with a knowing and ultimately neutral vagueness, and we endlessly repeat ourselves, without comment. So maybe the reason I didn’t like it is just that this isn’t the present I wanted back when it was the future. I’d hoped for so much more.